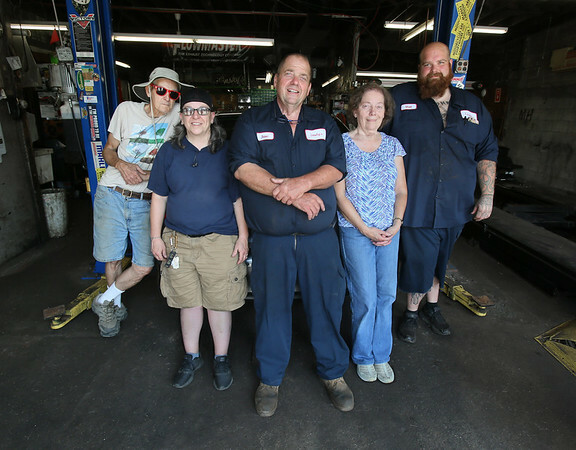 Steve Linsky, center, with his crew at Linsky's Service Station on Maplewood Avenue. From left are John Montgomery, Doris Arvilla, Linsky, his sister Edy Montgomery, and Matt Hart. Linsky will be handing the garage over to a new owner at the end of the month. His family has owned it since 1953.